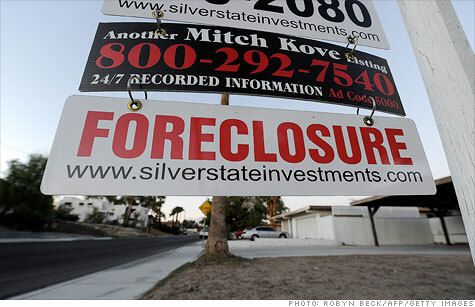 Millions of borrowers who suffered financial losses from foreclosure abuse now have two ways of getting compensated. NEW YORK (CNNMoney) -- Millions of borrowers who suffered financial losses because their mortgage lenders played fast and loose while processing their foreclosures now have two ways of getting a payback. They can tap the $26 billion settlement between the state attorneys general and the nation's five biggest banks that was inked two weeks ago. But there is also an earlier settlement that has been nearly forgotten -- and that could lead to an even bigger payoff, in some cases. As part of an enforcement action by federal authorities last April, 14 mortgage servicers, including Bank of America (BAC, Fortune 500), Chase (JPM, Fortune 500), Citibank (C, Fortune 500), HSBC (HBC), MetLife Bank (MET, Fortune 500), PNC Mortgage (PNC, Fortune 500) and Wells Fargo (WFC, Fortune 500), agreed to hire independent consultants to investigate foreclosure abuses and compensate those who suffered financial harm. As a result of the program, up to 4.3 million mortgage borrowers who were foreclosed on in 2009 and 2010 will have a chance to request an independent review of how their foreclosure was handled. So far, only 90,000 eligible homeowners have submitted claims, prompting the feds to extend the deadline for applications by three months to July 31. The exact amount of money borrowers will receive has yet to be determined. But if a review finds that "financial injury" occurred -- say a bank charged inappropriate fees or it went forward with a foreclosure without a valid claim to the property -- a homeowner could be repaid in full for their losses. Borrowers who were improperly charged even just a single fee could be repaid for it, according to Bryan Hubbard, a spokesman for the Office of the Comptroller of the Currency, one of the federal regulatory agencies that negotiated the agreement. And borrowers who suffered much larger losses could be in line for much bigger repayments than promised by the AG's settlement, which will pay up to $2,000 to the estimated 750,000 who lost their homes to foreclosure between 2008 and 2011. The compensation could even repay the cost of regaining a wrongfully lost home if warranted by the facts of the case, according to Hubbard. The Independent Foreclosure Review was sparked by the robo-signing scandal that exposed the bank's treatment of borrowers in the foreclosure process. The lenders lost documents and recreated them, had low-level employees with no knowledge of what they were attesting to sign legal papers and bent the rules requiring them to halt foreclosures if borrowers sought mortgage modifications. Unlike the $26 billion settlement with the state attorneys general, borrowers didn't have to lose their homes in order to receive compensation, according to Hubbard. "It could be anyone who suffered financial loss because of errors made in the foreclosure process," he said. Since the settlements are completely independent of one another, claimants can double-dip, filing for compensation under both settlements. (To seek compensation under the state attorneys general settlement, contact your lender or servicer and ask them to review your case). To make a claim for the Independent Foreclosure Review, borrowers have to fill out a five-page form that identifies some examples of situations that may have led to financial injury. Borrowers do not have to provide documentation. That will be handled by an independent agency. No reviews have been completed yet, according to Hubbard. And individual cases may take months to come to decision.